If you work in outdoor industries such as forestry, agriculture, tree surgery and search and rescue, having to remove your gloves during more tricky tasks can be common. Having nowhere to put the gloves is a problem too, as holding them can reduce dexterity and increase the risk of injury. The TraffiGlove Glove Clip prevents this problem by simply clipping to a belt or jacket and holding your gloves in place to give your hands the total freedom that they need to be safe. 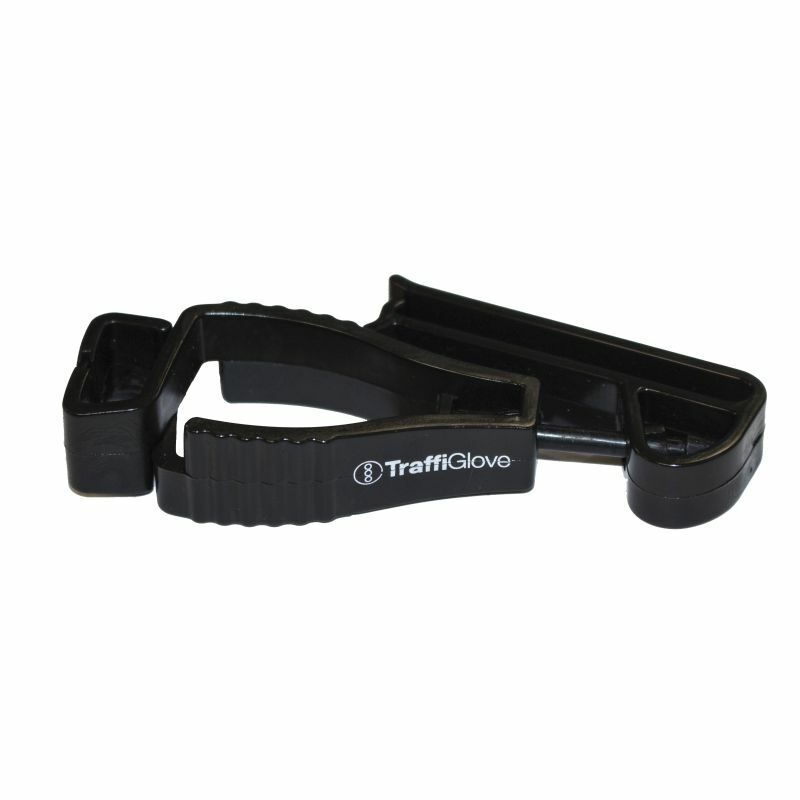 The TraffiGlove Clip is ideal for remote workers who need full use of both hands while working. By holding your gloves while working in a high risk environment, you are putting yourself at higher risk of injury. In allowing full use of hands while working it gives you the peace of mind that you won't lose your gloves, and allows you to continue your work with proficiency, confidence and dexterity.